The Nexus 5 is a great phone, and upgrading it to Android Lollipop makes it greater still. Unfortunately, however, you might find that after the upgrade it feels slower rather than slicker. If that sounds like your phone, read on to discover how to speed up the Nexus 5 for fast performance. We know what you’re thinking. Android Lollipop is supposed to be faster. Didn’t Google go on about optimizations and new runtimes and all that stuff? And you’re right, but Google can’t test every possible combination of operating system, data and apps, and as a result updates can result in a few performance issues. 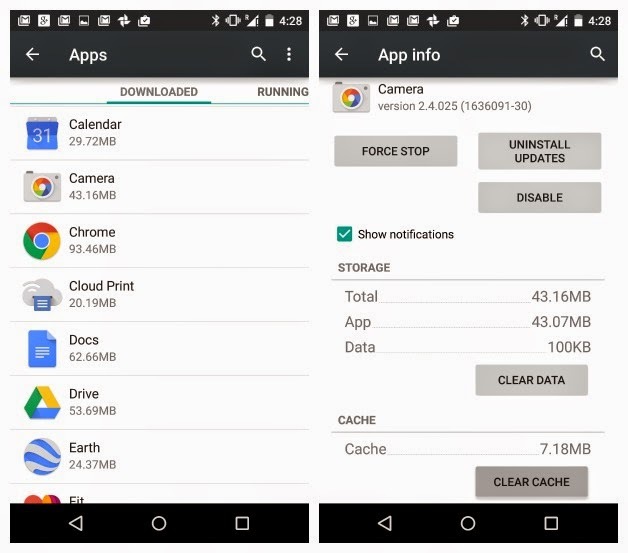 Your Nexus 5 stores temporary data in two places, the app cache (for apps) and the system cache (for Android itself). If that gets messed up it can have a knock-on effect on your phone’s performance, so it’s a good idea to clean both of them. This shouldn’t affect any of your personal settings or data but it’s always a good idea to make a backup before experimenting. Go to Settings > Device > Apps > All. Tap on the name of the app whose cache you want to delete. You should now see a screen with lots of options and information. The bit we’re looking for is the button that says Clear Cache, which will appear if that app uses a cache. Make sure you tap the Clear Cache button and not the one that says Clear Data, because that - as you’d expect - clears all of the data for that application, such as user names, passwords, game progress and so on. To clean the system cache, all you need to do is to go into Settings > Storage > Cache and clear the system cache. Animated transitions in operating systems are often there to distract you while the system loads something, but there’s no need for that on a fast device such as the Nexus 5. In system settings, go into Developer Options and turn it on if it isn’t already. Now, scroll down until you see Window Animation Scale, Transition Animation Scale and Animator Duration Scale. You can turn these options off to disable animation altogether, but cutting them to 0.5x gives you a speed boost without making Android feel weird. If you don’t notice any difference after making the changes, restart your Nexus. If your Nexus is still performing more slowly than it should, the next step is to see if you can identify particular offenders. Is the slowness due to your phone, or is it app- or website-specific? No amount of messing around with your device will fix the latter two. If it appears to be app-related, uninstalling and reinstalling might make a difference. If you’re pretty sure that it’s your phone, then the next thing to consider is the nuclear option: a full reset. This takes your phone back to factory-fresh condition and should eliminate any niggling issues that could be affecting your performance. Always make sure you’ve backed up anything important - from photos to app passwords - before getting ready to go nuclear. Enter your PIN or password if asked to. Tap Continue. From a powered off state, press the Power button to start your Nexus 5. When you see the Google logo press and hold the Volume Down key and release when the device vibrates. Use the volume keys to highlight Recovery Menu and press the Power button to select. This will bring you to a screen with an Android on its back. Hold the Volume Up key for 5 secs then release and a new menu will appear. First off, you can use the volume keys to select Wipe Cache Partition. This will cause your phone to restart. once this is done, re-do the previous steps to get back to the same screen (the one that Wipe Cache Partition was on). Highlight Wipe Data/Factory Reset and select using the Power key. Scroll down to Yes, Delete All Data and press the Power button again to select. 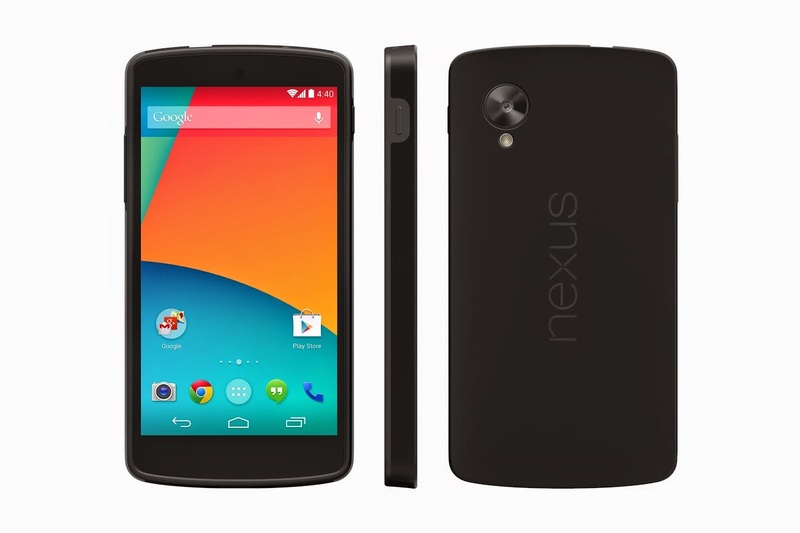 Your Nexus 5 will now wipe your data and reformat. On the next screen hit the Power button to select Reboot System Now.